The days may soon be over when mariners have to pick up a radio to take on the cumbersome task of reporting their vessel and route parameters every time they cross into a new VTS area – at least for those sailing in the Baltic Sea. 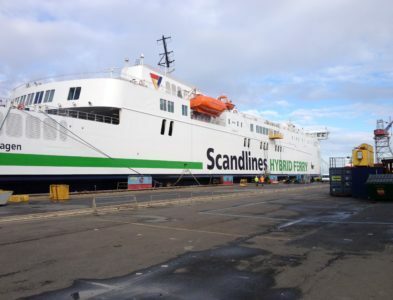 By cooperating with the Finnish Transport Agency as a part of the EU-funded project EfficienSea2, the Norwegian surveillance system manufacturer Vissim has become the first operator to integrate voyage data from the so-called ENSI-system (Enhanced Navigation Support Information) in their own vessel traffic monitoring system. “Today, a ship sailing from Helsinki to Oslo passes many VTS zones and has to share voyage data with all of them. Some require more than others, but in most cases some form of radio contact is necessary. 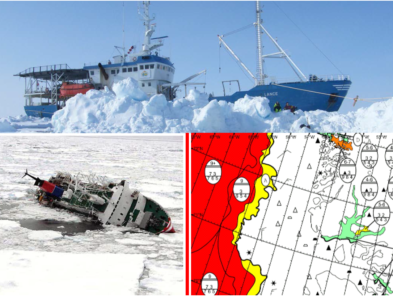 Being able to integrate voyage information from a different route reporting scheme and distribute the information to all relevant actors along the route will make it possible to report only once per voyage,” he says. “Often, VTS and SRS centres will have route recommendations or restrictions based on draught or safety hazards. With this integration they will have a much simpler time giving feedback. They will receive the reports and route plans in a clear, digital, way with little room for misunderstandings – and they will have much more time, as they don’t have wait for the ships to enter their VTS domain before receiving information,” explains Mikko Klang, a consultant for the Finnish Transport Agency on ENSI-related issues. “By being first movers on this, we hope to offer our customers enhanced situational awareness while at the same time being able to decrease the mental workload placed on VTS officers,” he says. At first, the ability to integrate is directly beneficial for the part of the Baltic Sea Region covered by both ENSI and Vissim, but more important is the ambition of the EfficienSea2 project to have a global impact. By demonstrating how such route-sharing capabilities can be developed between different systems, EfficienSea2 hopes to lay the groundwork for future efforts toward smarter navigation. “The principles used to integrate ENSI’s and Vissim’s systems can be applied to many other regions of the world. When a captain knows his or her route and which waypoints they will pass, it makes little sense to have to report that more than once. Hopefully, we are helping to eliminate that burden,” says Mikko Klang. 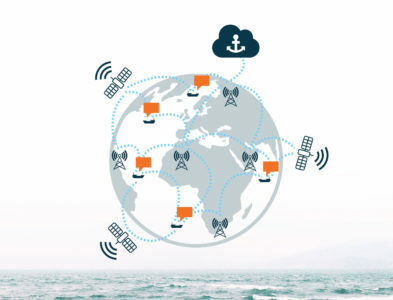 In order to exploit the new possibilities of integrating the ENSI data in other vessel traffic monitoring systems, manufacturers can find more information through the so-called Maritime Connectivity Platform or at the website of ENSI. Vissim will soon be offering their users to benefit directly from the work being done in EfficienSea2. Today, VTS centres receive route information via radio contact and will then have to either plot it into their own system or not. With the new integration scheme, they can receive a full visualization instantly.